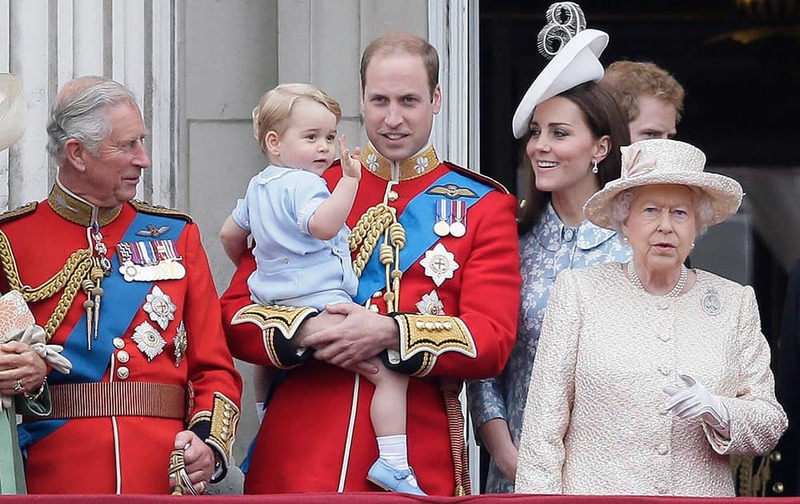 Britain's Prince William holds his son Prince George, with Queen Elizabeth II, right, Kate, Duchess of Cambridge and the Prince of Wales during the Trooping The Colour parade at Buckingham Palace, in London. 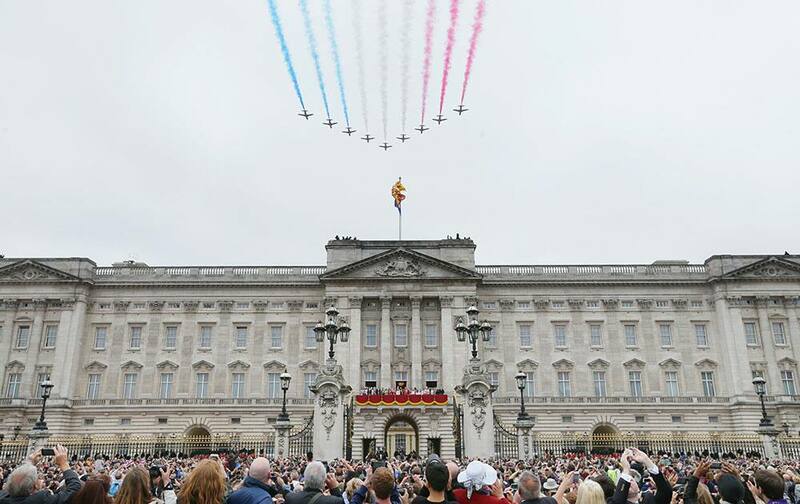 The Red Arrows make a flypast during the Trooping The Colour parade at Buckingham Palace, in London. 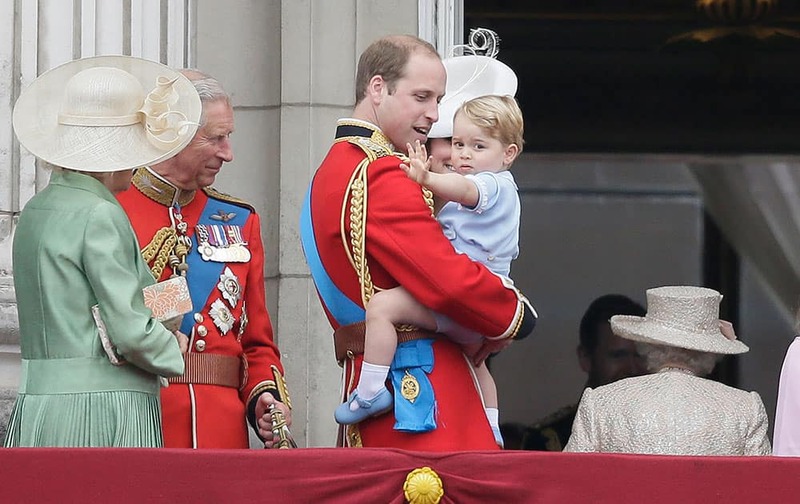 Britain's Prince William holds his son Prince George as they leave the balcony following the Trooping The Colour parade at Buckingham Palace, in London. 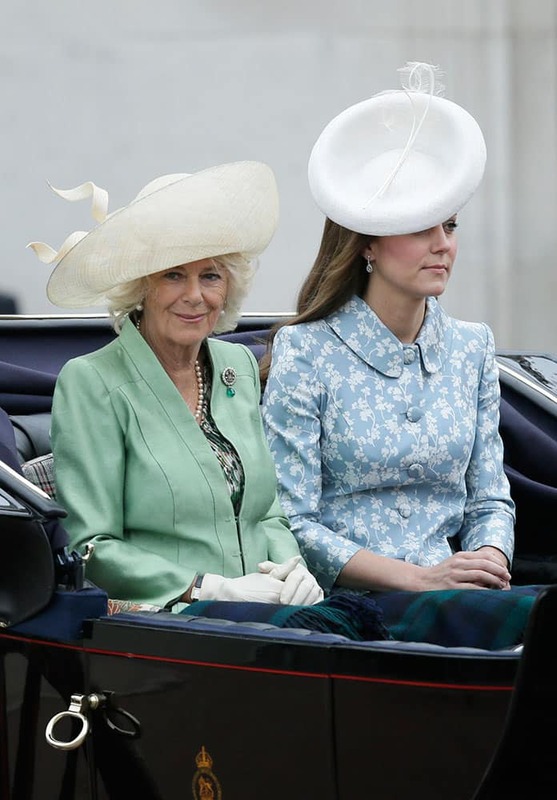 Britain's Kate, Duchess of Cambridge, right, and the Duchess of Cornwall ride in a carriage during the Trooping The Colour parade at Buckingham Palace, in London. 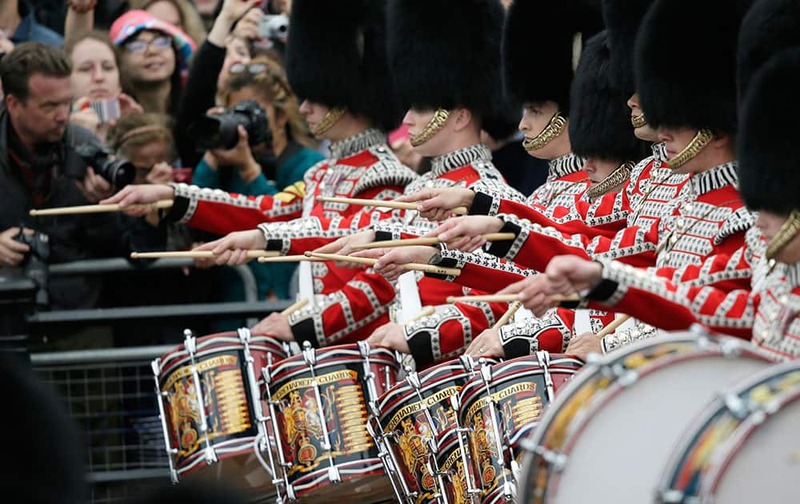 Soldiers march during the Trooping The Colour parade at Buckingham Palace, in London. 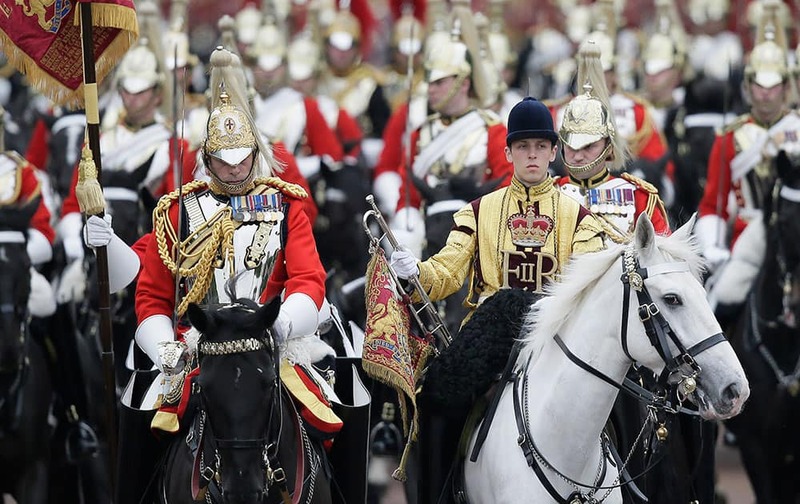 The Household Cavalry ride down the Mall during the Trooping The Colour parade at Buckingham Palace, in London. 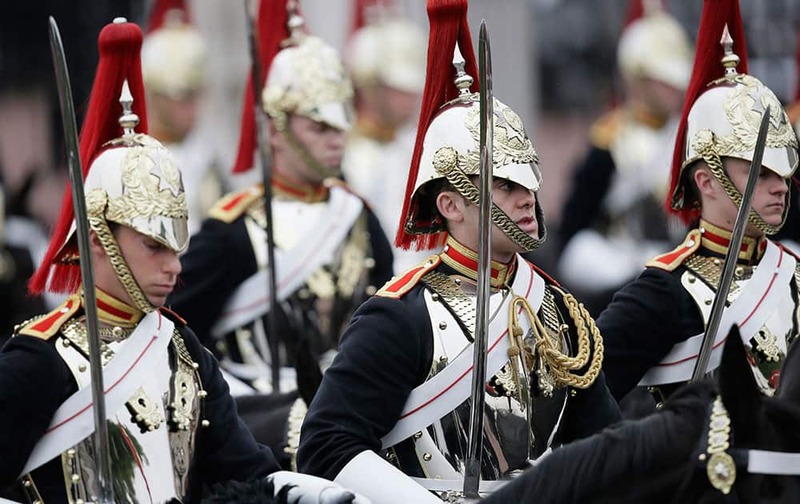 Soldiers of the Household Cavalry wait for the arrival of the carriages during the Trooping The Colour parade at Buckingham Palace, in London. 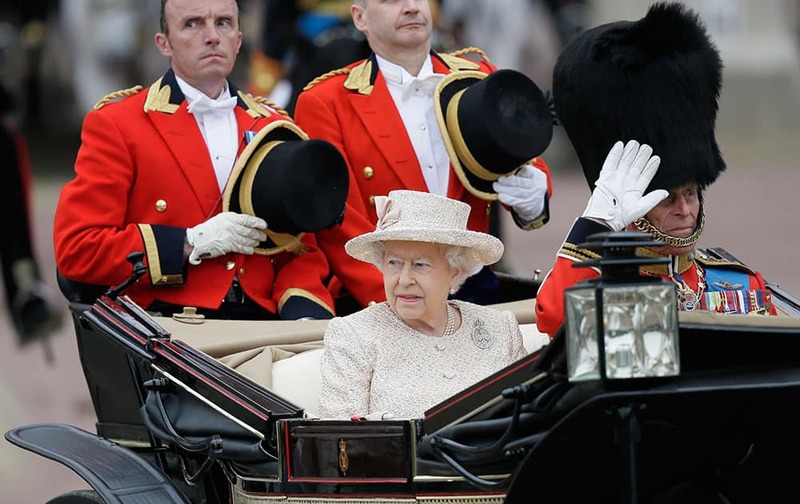 Britain's Queen Elizabeth II and Prince Philip ride in a carriage during the Trooping The Colour parade at Buckingham Palace, in London.